A luxurious 65 foot vessel equipped with flat screen TVs, a Bose sound system, full kitchen (with food & liquor permits( and more! The E Sea Rider Yacht boat is a luxurious sixty-five foot vessel quipped with flat screen TV's, a Bose sound system, full kitchen (with liquor and food permits), AC men's and women's bathrooms and much more. It is capable of comfortably carrying up to 77 passengers as it is among the largest vessels in the harbor. 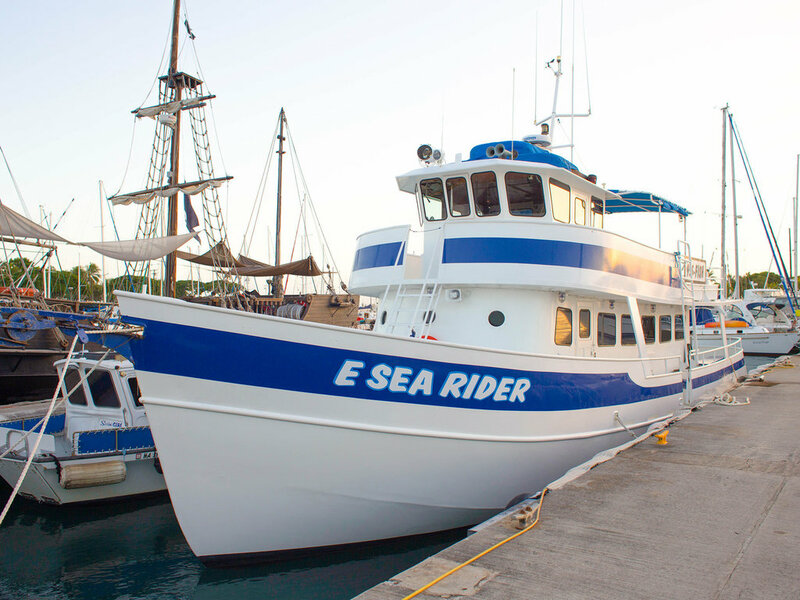 The E Sea Rider is United States Coast Guard certified and meets or exceeds all standards in the industry.